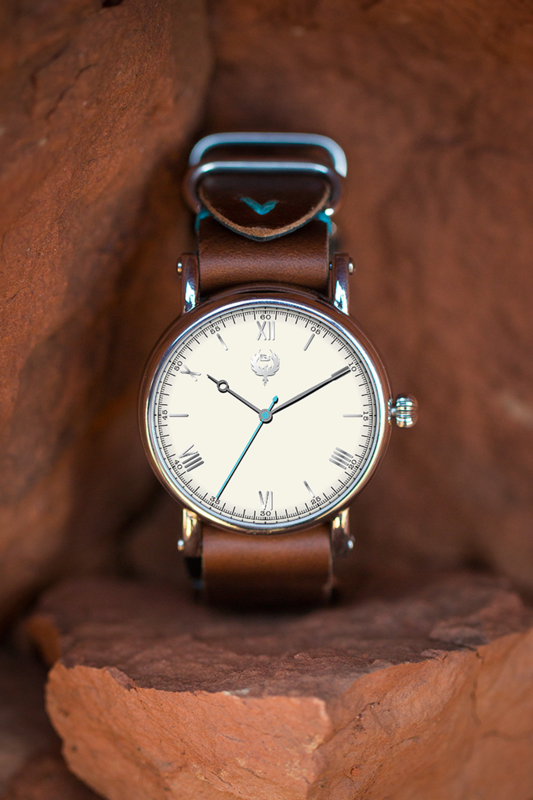 The Americana Collection from Phoenix-based Brillier Watches is a Kickstarter project that is unlike others you may have seen from the watch sector. Already an established brand, Brillier is going to Kickstarter to launch a project that will hopefully see a resurgence in American watchmaking, told through various chapters in American history, represented by timepieces. See, we told you it wasn’t your everyday Kickstarter. 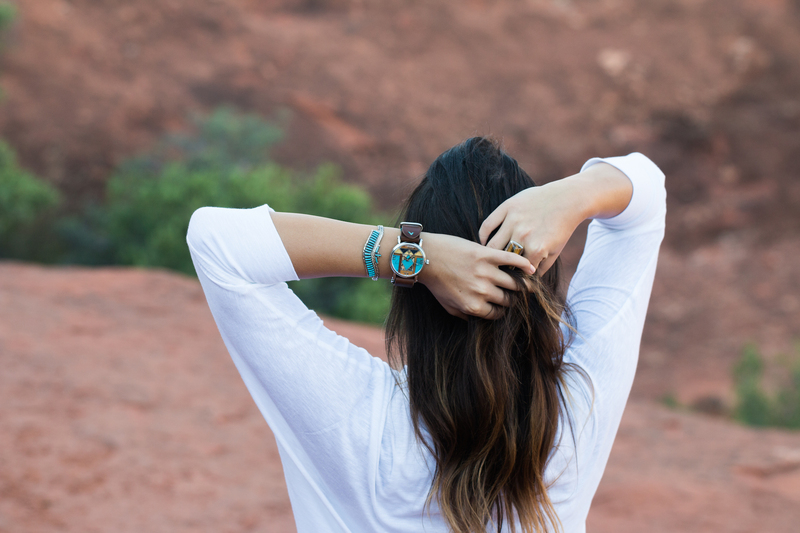 The Americana Collection kicks off with Part I, and the first timepiece: ‘The Native Watch’. Inspired by the colourful and culturally rich Native American history, the watch represents tribal art and natural landscapes through the use of natural stones as a dial setting, including turquoise, unakite, marble, and tiger’s eye. The result is a 43mm stainless steel case and a beautiful mosaic of colours and textures on a watch that is otherwise very simple and easy to wear. Every piece comes on a beautiful NATO style strap made of American Horween Chromexcel leather. The watches are powered by a Swiss Ronda 763 quartz movement, so you know timekeeping will be precise and reliable, without being over-the-top expensive. The proceeds from this particular Kickstarter project will go directly to funding watchmaking in America, and to help Brillier make this dream a reality. This project is only the first of several, so if you want to be a part of this fantastic endeavour, get in early and make sure you can be there from the beginning. As a bonus, the team at Brillier watches actually made a Part II to this release and every backer will be getting a second timepiece as well with their backing, which is a slightly more restrained piece, but certainly equally as attractive. So for just USD295, you get two of these very unique timepieces, a handmade leather NATO strap, and a beautiful watch pouch made of Bison leather, and fastened with a deer antler button. So if you were on the fence before, get off it, and get over to the Americana Collection Kickstarter here: THE AMERICANA COLLECTION KICKSTARTER.